Taliban leader Mullah Omar has ordered Afghan civilians who cooperate with coalition forces or the Government of the Islamic Republic of Afghanistan to be either captured or murdered. Mullah Omar's order also applies to Afghan women living in Afghanistan. Mullah Omar's five-point order commands his forces to fight the coalition forces "to the death," and to try to capture coalition forces when possible. Are you the kind of man who is a hero, or are you an anti-hero? A man needs to decide at some point in his life what kind of man he is going to be, either a hero or an anti-hero, and his actions should reflect this important decision. Heroes are self-confident, but seek God's face when making important decisions. What does it mean to seek God's face? This means you pray and ask God for guidance, even though the answer might not be the one you expect. For example, if you are thinking about cheating on your wife, God is not going to approve of your actions, even if your wife happens to be far less than perfect. Jack Bauer, the character in Fox TV's now defunct 24 series, is actually both a hero and an anti-hero, depending upon the situation at hand. On the one hand, Jack Bauer is a hero, an anti-terrorist who is not afraid to be politically incorrect, but on the other hand, Jack Bauer is also an ex-heroin addict who ended up being a disappointing anti-hero, actually a serial killer, during 24's last remaining episodes. Heroes practice Agape love, which is a special kind of love that places the welfare of others above his own. In other words, a hero is completely unselfish, and has enough faith in God, when faced with either a serious temptation, or a difficult decision, to do the right thing. What difference does it make if you do the right thing? Do your actions matter that much? Yes, your actions do indeed count more than you might realize. Everything you do affects those you care about, and can even affect total strangers. You have the power to set either a good or bad example to those around you, whether in person or online. If you are an online author with your own blog, a freelance writer, or are involved in forums and online social networking sites on the Internet, you have the capability and responsibility of setting a good example to those who read your words. Heroes are brave men who risk their lives to save others. A few examples of everyday American heroes range from your neighborhood policemen and firemen to soldiers, marines, and all those courageous men who protect and defend all Americans and their country, the United States of America. Do you want people who read what you write to be positively or negatively affected? Do you want your wife, relatives, friends, and Internet buddies to benefit in a good way from the words you write? If you do, choose what kind of man you are: hero or anti-hero. 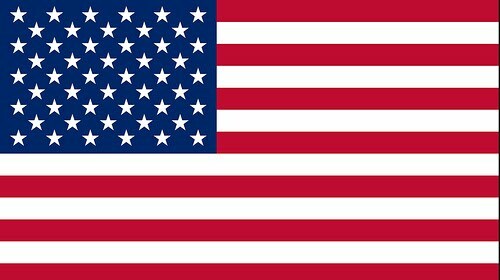 What is the real meaning of the Fourth of July? What are the "self-evident truths" contained within the words of The Declaration of Independence? What were the names of the erudite men who signed The Declaration of Independence? Is the pursuit of Happiness important? Does every human being have unalienable Rights? If so, what are they? What does The Declaration of Independence really mean to an American? What did Congress have in mind? Why was writing The Declaration of Independence so important to Thomas Jefferson? 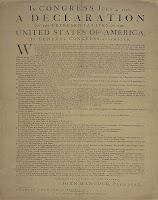 The Declaration of Independence is one of the most important political and historical documents in American History. 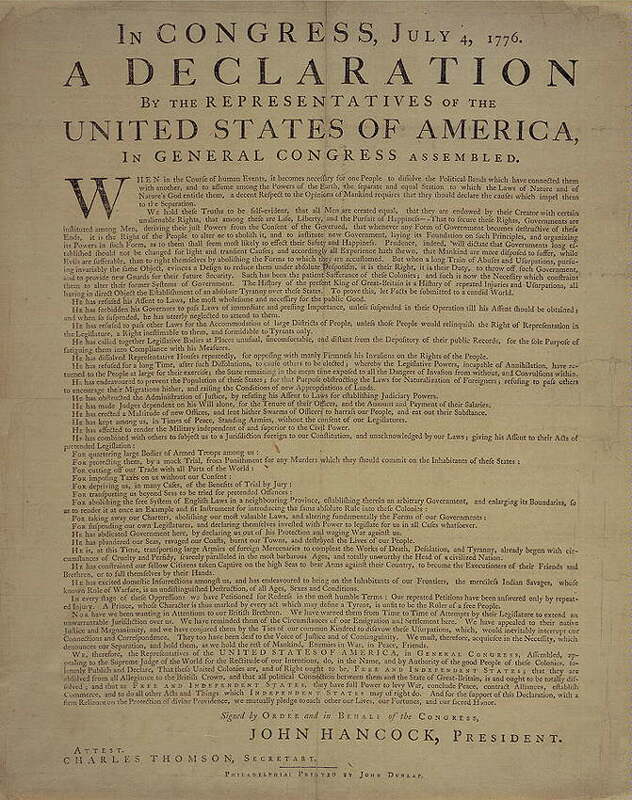 Do you know what The Declaration of Independence means to Americans?